On February 5, 2019 the Iowa Dept. of Natural Resources and the Federal Emergency Management Agency (FEMA) will host an Open House to present preliminary floodplain maps to Buchanan County citizens. The meeting will be held at the Buchanan County Public Health Department Meeting Room, 1413 1st Street West, Independence, IA on Tuesday, February 5th, from 5:00 p.m. – 7:00 p.m.. This meeting is open to the public. You may also view the complete press release with this link. Veterans Affairs Commission has one position open for a war time Veteran. Buchanan County will be accepting applications through January 31, 2019. Position has been filled by the Board of Supervisors on February 11, 2019. This position has been filled. (DES MOINES) – Gov. Kim Reynolds issued a disaster proclamation Wednesday for Buchanan County in response to severe storms that took place beginning Sept. 2, 2018. The governor's proclamations allow state resources to be utilized to respond to and recover from the effects of this severe weather and activates the Iowa Individual Assistance Grant Program for qualifying residents, along with the Disaster Case Management Program. A community event about the opioid epidemic - Tuesday October 16th, 5:30 to 9:00 PM. Buchanan County will be accepting sealed bid proposals at the Buchanan County Auditor's office until 9:00 a.m., Monday, May 7, 2018 for the sale of a former gravel pit. Opening for Mower Technician in Secondary Road Dept. Buchanan County will be accepting applications and signed job descriptions for a Mower Technician at the Secondary Road Department through Friday, April 27, 2018 or until an eligible candidate is located. This position has been filled. Buchanan County will be accepting applications and signed job descriptions for a Clerk in the Buchanan County Treasurer's Office through Friday, April 13, 2018 or until an eligible candidate is located. Buchanan County will be accepting applications and signed job descriptions for a Seasonal Roadside Vegetation Technician for the Roadside Vegetation Management Department through April 9, 2018 until 4:00 p.m. or until an eligible candidate is located. Buchanan County is accepting sealed bid proposals at the Buchanan County Auditor's office until 9:00 a.m., Monday, April 2, 2018 for the sale of bridge structures and lawn care bid proposals on a per-job basis. Buchanan County will be accepting applications and signed job descriptions for a Geographic Information Systems (GIS) Coordinator through March 30, 2018 until 4:30 p.m. Influenza spread and severity is building in Iowa, as the Iowa Department of Public Health reported four new influenza-related deaths today: an elderly (81+ years of age) female and older adult (61 to 80 years of age) female in Southeast Iowa; an elderly female in Northeast Iowa; and an elderly male in Northwest Iowa. Since October 2017, a total of six influenza-related deaths have been reported. Get vaccinated! Buchanan County Public Health has flu vaccine available - please call 319-332-0860. For more information from IDPH, visit http://bit.ly/2F0f3TY. Opening for Operator II at Secondary Roads Dept. Buchanan County will be accepting applications and signed job descriptions for an Operator II for the Secondary Roads Dept. through December 11, 2017 until 4:00 p.m.
Buchanan County Board of Supervisors will accept bids for a contract for snow removal for the Buchanan County Courthouse/Jail Complex, Buchanan County Human Services/Public Health building, and Buchanan County Senior Center building. Bids will need to be submitted by 9:00 a.m., Monday, November 27, 2017. The City Elections were held on November 7, 2017. To view official election results click here. As temperatures drop and Daylight Savings Time comes to an end on November 5th, the Iowa Department of Public Health wants to remind everyone to take action to avoid carbon monoxide (CO) poisoning by installing new or testing existing home CO detectors. CO is a gas that can't be seen or smelled and is made when fuels like gas, kerosene, propane or wood are burned. It's the most common cause of deadly poisonings. The Buchanan County Public Health Department will be accepting applications for Public Health Nurse (RN) through November 3, 2017 until 3:00 p.m. or until an eligible candidate is located. Buchanan County is accepting sealed bid proposals at the Buchanan County Auditor's office until 9:00 a.m., Monday, October 23, 2017 for the rent of 152 acres of farm land. Buchanan County Auditor and Commissioner of Elections Cindy Gosse has announced that absentee ballots for the School Elections on September 12, 2017, will be available to be voted on Tuesday, August 15, 2017. Due to the historical low voter turnout for School Elections the precincts in the East Buchanan and Independence School Districts will be consolidated. For the Official Results of the School Election click here. Buchanan County is accepting letters of interest for a Cono Township Trustee and Township Clerk. If you are interested in serving as either a trustee or clerk you must submit a letter of interest on an 8.5x11 sheet of paper to the County Auditor, Courthouse, 210 5th Ave. NE, PO Box 317, Independence, IA 50644 no later than September 5, 2017. STATE LAW REQUIRES GENDER BALANCE FOR TOWNSHIP TRUSTEE. Buchanan County is accepting sealed bid proposals at the Buchanan County Auditor's office until 9:00 a.m., Monday, August 14, 2017 for equipment from the Secondary Roads and Emergency Management Departments. The Buchanan County Emergency Management Homeland Security Department will be accepting applications for an Assistant Emergency Management Office Coordinator through July 7, 2017 until 4:30 p.m.
New legislation legalizes fireworks; however Buchanan County requires a permit for all firework displays. In 2013 Buchanan County Board of Supervisors passed an ordinance restricting the use of fireworks. The ordinance allows firework displays in Buchanan County only if a permit is approved by the Board of Supervisors. Part of the permit process requires that a certified or licensed pyrotechnician conducts the display. The new legislation in Iowa legalizes the sale of fireworks and firework displays during certain times of the year. Under the new law the sale and display of fireworks is only allowed during June 1-July 8 and December 10-January 3. Buchanan County will allow the use of 1.4 Consumer fireworks between these dates with a permit. Permit applications, firework resolution and ordinance are available at the Buchanan County Auditor’s Office or you can click here. If you live within city limits contact your local city government regarding permit requirements. The Buchanan County Secondary Road Department will be accepting applications for an Operator II position through June 23, 2017 until 4:00 p.m. The Buchanan County Board of Supervisors has ordered the Buchanan County Courthouse to be closed on Monday, May 8, 2017 for employee training. County employees will be training on a recently adopted Active Shooter Policy that incorporates ALiCE procedures. ALiCE stands for Alert, Lockdown, Inform, Counter and Evacuate. The training will include live-action scenarios that will require the Buchanan County Courthouse to be closed. During the closure, no one except those employees being trained will be allowed on the property. The Buchanan County Secondary Road Department will be accepting applications for a Seasonal Mower Technician through April 28, 2017 until 4:00 p.m. The Buchanan County Auditor and Commissioner of Elections, Cindy Gosse, has announced that absentee ballots for the City of Independence Special Election on March 7, 2017, will be available to be voted on Tuesday, February 21, 2017. The Buchanan County Attorney's Office will be accepting applications for a Legal Assistant & Crime Victim/Witness Coordinator through February 10, 2017 at 4:30 p.m. The Buchanan County Sheriff's Office has an opening for the position of Deputy Sheriff. To be eligible to take the Civil Service test, an application must be submitted to the Civil Services Commission by January 6, 2017. Buchanan County Secondary Road Department would like to remind county residents that pushing snow onto or across the county right of way is prohibited per Iowa Code. Buchanan County Public Health will be accepting applications for a full-time Public Health Nurse until 12/16/2016 at 3:00 PM. The General Election is November 8, 2016. If you have any questions or need assistance on finding the precinct to cast your vote you may call the Auditor's office at 319-334-4109. Buchanan County Board of Supervisors will accept bids for a contract for snow removal for the Buchanan County Courthouse/Jail complex, Buchanan County Human Services/Public Health building, and Buchanan County Senior Center building. Bids will need to be submitted by 9:00 a.m., Monday, November 7, 2016. The Buchanan County Sheriff's Office is hosting a collection site at the Sheriff's Office, 210 5th Ave. N.E., Independence, IA for the DEA's Fall 2016 Drug Take-Back Day on Saturday, October 22, 2016 from 10:00 a.m. to 2:00 p.m. The Buchanan County Sheriff's Department will be accepting applications for a full-time Dispatcher through October 21, 2016 until 4:00 p.m.
Buchanan County is accepting sealed bid proposals at the Buchanan County Auditor's Office until 9:30 a.m., Monday, October 3, 2016 for the rent of farm land. Even Healthy People Need a Flu Vaccine. Influenza (flu) is a contagious disease which affects the lungs and can lead to serious illness, including pneumonia. Even healthy people can get sick enough to miss work or school for a significant amount of time or even be hospitalized. The flu vaccine is recommended for everyone 6 months of age and older. Pregnant women, young children, older people, and people with certain chronic medical conditions like asthma, diabetes and heart disease are at increased risk of serious flu-related complications, so getting a yearly flu vaccine is especially important for them. Please see your Healthcare Provider for more information. Buchanan County Auditor and Commissioner of Elections Cindy Gosse has announced that absentee ballots for the City of Independence Special Election on August 30, 2016, will be available to be voted on Tuesday, August 9, 2016. The Buchanan County Sheriff's Office will be accepting applications for a Correctional Officer/Jailer through August 26, 2016. Since July 5, 2016, two 2-year-olds and one 6-year-old have died from drowning. Adults losing track of the children for several minutes appears to be a major factor in these drownings. Drowning is the leading cause of death by unintentional injury in children between the ages of 1 and 5. Parents and caregivers need to provide direct supervision to all young children and non-swimmers, even when lifeguards are provided. Buchanan County Community Services will be accepting applications for a part-time Case Manager/Social Worker until July 29, 2016 at 4:30 p.m.
Buchanan County will be accepting applications for the Magistrate & Compensation Commissions until August 1, 2016. What to know before you go. Bugs can spread diseases. Travelers to tropical and other destinations should take steps to prevent bug bites. The Offices of Auditor and Treasurer will be closing at noon to the public on Thursday, June 30, 2016 to close the books for the end of the fiscal year. Driver's license renewals will stop at 11:00 a.m. & testing will stop at 10:30 a.m. on June 30th. For results information from the Primary Election that was held on June 7, 2016 click here. The Buchanan County Sheriff's Department will be holding their Drug Take Back Initiative on Saturday, April 30, 2016 from 10:00 a.m. - 2:00 p.m. at the Buchanan County Health Center. For more information please click on the above title. Buchanan County's Household Hazardous Waste Center will be open May 1st. All residents of Buchanan County can use this facility, with no charge to residential customers. An appointment can be made by calling: (319) 334-6312. Buchanan County is accepting applications for a Seasonal Mower Technician at the Buchanan County Engineer's Department through April 27, 2016 at 4:00 p.m.
Buchanan County is accepting applications for a Seasonal Roadside Technician at the Buchanan County Roadside Road Department through March 4, 2016 or until an eligible candidate is located. Emergency Management will be hosting a Weather Spotters Training on Monday, February 22, 2016 starting at 5:30 p.m. at the Mental Health Institute Auditorium, main entrance. 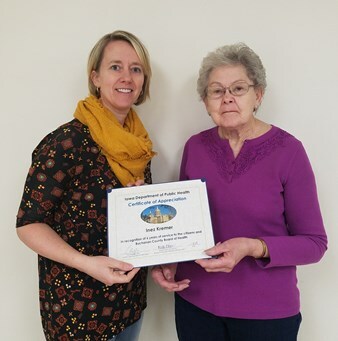 Protect your family's heath by attending a FREE Public Workshop on Monday, February 22nd from 7:00 - 8:30 p.m. at Heartland Acres-Theater on Radon: A Silent Threat in Iowa. Buchanan County is accepting applications for an Assistant County Attorney in the County Attorney's office through February 17, 2016 at 4:30 p.m.
Buchanan County is accepting applications for a Operator 1 at the Secondary Roads Department through February 10, 2016 at 4:00 p.m.
Buchanan County is accepting applications for a Case Manager/Social Worker for the Community Services Department through February 3, 2016 at 4:30 p.m. Effective Jan 20, 2016, Buchanan County will no longer be using CodeRED to issue emergency alerts. To continue receiving emergency alerts from Buchanan County, please register for our new system, Alert Iowa, by clicking here. If you are currently enrolled in CodeRED, you still need to register for this new system if you wish to continue receiving emergency alerts. Buchanan County is accepting applications for a Mental Health Advocate. The position is part-time non-exempt with the salary based on experience and qualifications. Buchanan County is accepting applications for an Information Technology Support Specialist. This position has been filled. Buchanan County Auditor and Commissioner of Elections has announced that absentee ballots for the City Elections on November 3, 2015, will be available to be voted on Tuesday, October 13, 2015. To view the list of candidates, news release and sample ballots click here. The open burning ban for Buchanan County was lifted by the State Fire Marshal, effective October 30, 2015 at 1:30 PM. Buchanan County will be accepting applications for a Perry Township Trustee through October 16, 2015. For more information and application, please click here. In a collaborative effort, Buchanan County Sheriff's Office, Buchanan County Health Center and Pathways Behavioral Services will be hosting a drop-off site for the DEA's 2015 National Take Back Day. This event is conducted in an effort to have patients and their families dispose of unwanted or expired medications. The National Take Back program is anonymous, and every effort will be made to protect the anonymity of individuals disposing of medication. The drop-off location will be at Buchanan County Health Center, Meeting Room "A", 1600 First Street E., Independence, from 10:00 a.m. to 2:00 p.m. on Saturday, September 26, 2015. Please click here to view more information. Like the (Official) Independence Police Department’s Facebook Page for breaking news, press releases, traffic advisory's, helpful tips and much more! Buchanan County Auditor and Commissioner of Elections Cindy Gosse has announced that absentee ballots for the School Elections on September 8, 2015, will be available to be voted on Friday, August 14, 2015. NOTICE: Boil Water Advisory has been LIFTED for the residents of Independence, west of the Wapsipinicon River per the City of Independence. Please contact Independence City Hall (319-334-2780) or Mark L. (319-334-3750) for more information. FAQ about Boil Water Advisory from IDPH & IDNR. A Boil Water Advisory is in effect for the residents of Independence, west of the Wapsipinicon River until further notice, per the City of Independence. Buchanan County Auditor and Commissioner of Elections Cindy Gosse has announced that absentee ballots for the City of Hazleton Special Election on August 18, 2015, will be available to be voted on Tuesday, August 4, 2015. Buchanan County Auditor and Commissioner of Elections Cindy Gosse has announced that absentee ballots for the City of Independence Special Election on August 4, 2015, will be available to be voted on Thursday, June 25, 2015. If you have any questions, concerns or need more information on the Special Election, please contact City Hall at 319-334-2780, Monday through Friday from 8:00 a.m. - 4:30 p.m. The Buchanan County Civil Service Commission will be testing for a Deputy Sheriff's position. To be eligible to take the Civil Service test, an application must be submitted to the Civil Services commission prior to the testing. For more information and application , please click here. The Buchanan County Sheriff's Office K9 Fundraiser golf tournament is scheduled for 9:00 a.m., Saturday, September 19, 2015 at Three Elms Golf Course located at 2074 Three Elms Park Rd, Independence. The format is four person best shot and entry fee is $40 per person, which includes green fees and lunch (cart is separate). This tournament is open to the public and registration forms are available at the Sheriff's Office or online at http://www.buchanancountyiowa.org/sheriff. Registration deadline is Saturday, September 12, 2015. Join us for a good time and a good cause! 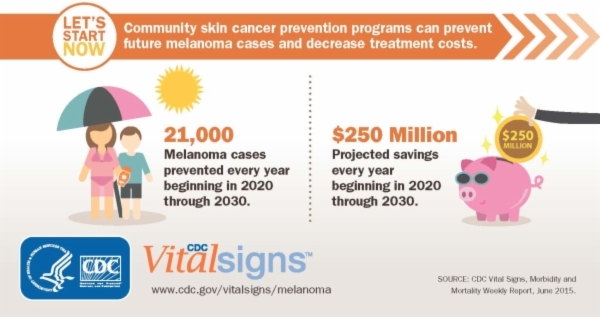 Click on the link above for more information on preventing Melanoma. June 1- 7, 2015 is National CPR Week. With funding from the Anthem Foundation, the American Heart Association is debuting a new Hands-Only™CPR music-based training video, designed to showcase the simplicity and lifesaving benefits of Hands-Only CPR. The video features the unique sounds of the wildly-talented acapella group, Street Corner Symphony, and is available at www.heart.org/handsonlycpr. The American Association of Poison Control Centers (AAPCC) warned April 23 that a group of dangerous new synthetic cannabinoids have led to a dramatic spike in poison center exposure calls in the U.S. Concerned residents both within and outside the areas affected by avian influenza are encouraged to use the Iowa Concern Hotline at 1-800-477-1985 if they have questions or need disaster counseling. The Iowa Concern Hotline is available 24 hours a day. All calls are free and confidential, and the operators are willing to assist wherever possible. For more information - click here. Buchanan County Auditor and Commissioner of Elections Cindy Gosse has announced that absentee ballots for the City of Jesup Special Election on June 2, 2015, will be available to be voted on Thursday, May 14, 2015. Buchanan County will be accepting applications for the Veterans Affairs Commission through June 1, 2015. Dog flu is a disease of dogs. No human infections with canine influenza have ever been reported. There are two different influenza A dog flu viruses: an H3N8 virus and an H3N2 virus. Canine influenza H3N8 virus has been known to exist for more than 40 years. H3N8 first recognized in dogs in 2004. For more information on Canine Influenza click here. A high pathogenic strain of avian influenza (H5N2) has been identified in commercial poultry flocks in Iowa and other Midwestern states, and is being spread by waterfowl, gulls, and shorebirds as they migrate. Click here for more information. Buchanan County Courthouse will be having a garage sale on Saturday, April 25, 2015 8:00 AM to NOON. Items for sale include but not limited to: office furniture, large wooden tables, a variety of office chairs and miscellaneous items. The burn ban for Buchanan County, Iowa will be lifted, effective April 13, 2015 at 11:00 AM. On April 6, 2015, the Office of the State Fire Marshal received a request from Rick Wulfekuhle that the State Fire Marshal prohibit open burning in Buchanan County. Upon investigation the Fire Marshal finds that conditions in Buchanan County are such that open burning constitutes a danger to life or property. 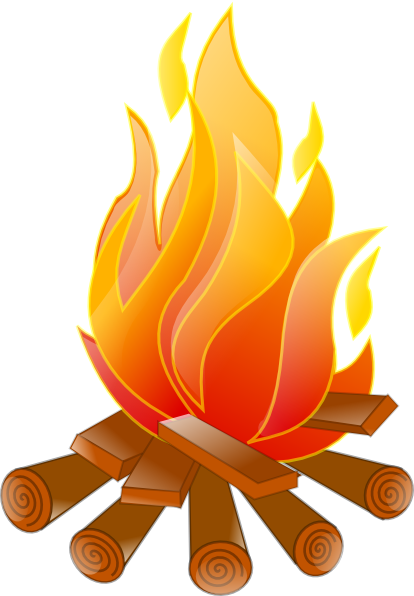 It is therefore ordered that no person shall engage in open burning in Buchanan County, effective April 6, 2015 at 11:30 a.m. For more information, please click here. National Public Health Week is April 6-12th, 2015. For more information, please go to the Public Health Department's Press Release page. Buchanan County will be accepting applications for a Sumner Township Clerk through May 31, 2015. City of Hazleton Special Election was held on March 31, 2015. To view the Unofficial Results please click here. Iowans are working to get 80% screened for colorectal cancer by 2018. Protect Buchanan County from Measles! Daylight saving times begins Sunday, March 8, 2015. Is your emergency preparedness stockpile up to date? For more information on how to prepare for an emergency, go to our Emergency Management Page. The United States is currently experiencing a large, multi-state outbreak of measles linked to an amusement park in California. More than 100 people from 14 states in the U.S. (AZ, CA, CO, IL, MI, MN, NE, NY, OR, PA, SD, TX, UT, WA) have been confirmed as having measles. As of 2/5/2015 there are no confirmed measles cases in Iowa. “This national measles outbreak has brought the protection provided by vaccinations back into the spotlight,” said Buchanan County Public Health Director Amy Marlow. “It’s always important to keep your vaccinations up-to-date, but during times like this, when we know a virus is circulating in many states, it’s especially critical to check with your health care provider to be sure you and your family’s vaccinations are current.” The best way to prevent measles is to get the measles-mumps-rubella shot (called MMR). Two doses of MMR will provide more than 99 percent of people lifelong protection against measles. 2. KNOW WHEN TO EXPECT DANGEROUS WEATHER - Monitor forecasts and information from your local National Weather Service Forecast Office. 20 Weeks to Preparedness - Do you have a kit in the event of an emergency? Why not start today - one week at a time. Download the printable booklet here. The Director of Buchanan County Public Health encourages the residents of Buchanan County to (1) get a flu shot if they have not already done so, (2) stay home until fever free for 24 hours without fever reducing medications, and (3) Practice the 3 C’s. Cover Your Cough. Use a tissue or your elbow. Clean Your Hands. Use soap and water or hand sanitizer. Contain Germs. Stay home when sick. You can contact your family health care provider for a flu shot or our webpage lists where flu shots are still available in our community. Influenza - get the 'Facts'. Radon Gas Test kits can be purchased from the Buchanan County Environmental & Health Department.